Expertly powering Cobra Brushcutters - This 26cc engine provides all the power your Cobra brushcutter needs. The 2-stroke engine produces consistently strong power delivery together with state of the art engine technology, whilst achieving reduced fuel consumption and industry leading low emission levels. 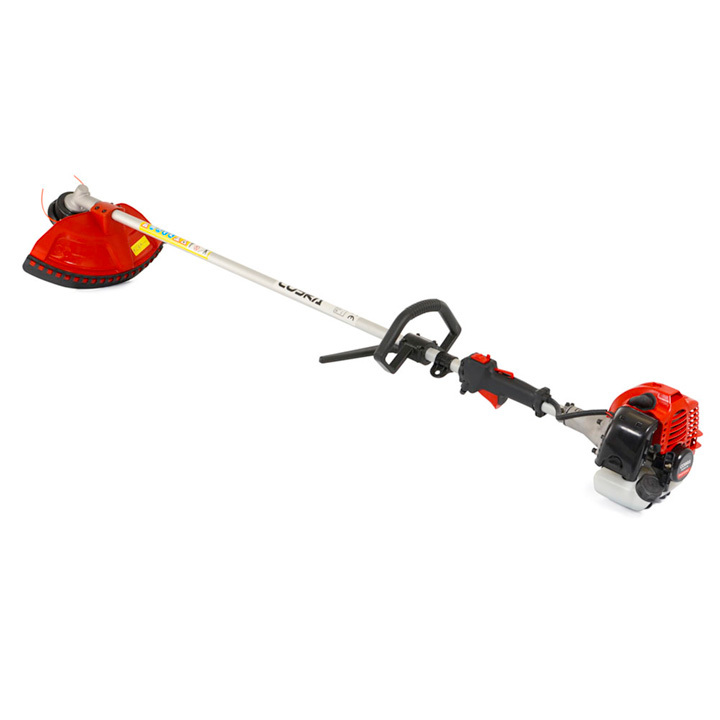 Double line for long grass & undergrowth - The Cobra BC260C petrol brushcutter comes complete with a tap 'n' go double line cutting head for mowing and thinning. Also included is a robust guard for increased operator safety. The quality nylon line is automatically readjusted by simply tapping the cutting head on the ground. The newly released line is then cut to the optimum operational length as you continue using your brushcutter. Comfort, balance and control as standard - The Cobra BC260C is a straight shaft brushcutter with loop handle for increased operator feel and manoeuvrability. When combined with the included double shoulder harness, this brushcutter is ideal for tackling large, demanding tasks. Helping you to get the job done - The Cobra BC260C petrol brushcutter has been designed to make brushcutting your garden a simple and effortless task. The ergonomically positioned controls not only make operator use more comfortable, but more importantly, make using your Cobra brushcutter as safe as possible.